→Echo Instructions For Dogs – What to Know? Echo Instructions For Dogs – What to Know? Modern science is going at a fast pace so are its innovations. Such a modern device is Echo. It is named Alexa. Although made for activation with humans, Alexa for dogs, is a compact electronic device that works as a handy tool for dog owners. It has been in the market for sometime and is working wonders. Now the second generation echo has already made its presence felt. It is an onward march with great strides. The results are stark on the face. What is Alexa for a dog? Maybe a lot of people do not even remember, but the truth is that Amazon started by providing us with physical books, not in vain was the "largest bookstore in the world. " After betting heavily on the electronic format and expanding its field of commercial activity, little by little it became a place in our shopping routine, and today it provides us with practically everything: clothes, food, music, electronics, entertainment, and dog products, can also be given as Christmas gift for your furry friend. It is therefore not surprising that its next step is to try to become a member of the family, for which it has created a smart speaker, the Echo, inhabited by the Alexa virtual assistant. The default settings of a newly installed Echo device make things much easier for dog owners today. This includes flexibility as regards purchasing dog products online. Suppose you are talking about dog food with somebody. Now you want to know from ‘Alexa,’ which is the best food for the dog? ‘Alexa’ will respond by indicating the brand and price of the best dog food. To a certain extent, this is very useful. The technology can be impressive and immediately after giving you those details, without even breathing, Alexa will say: "Do you want to order it?". If you get to say "yes," the item would be ordered. The amount would be debited from the first card option contained in the simplified one-click configuration of your account. This would then be sent to the designated address there. And remember this: you cannot tell Alexa that you changed your mind. If you order an item mistakenly, you must use the Alexa app to cancel the order. Aside from ordering for dog products online, the Alexa for a dog can be used to play music for the dog when the owner isn't at home, regulate an automatic dog feeder or activate an automatic ball thrower to keep the dog busy since it can be connected to a smartphone. 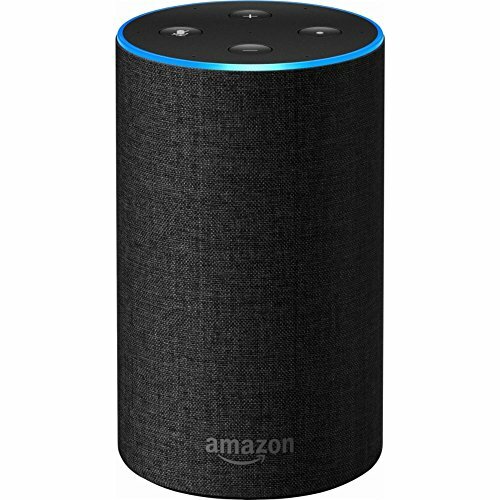 Alexa for a dog is an intelligent cylinder-shaped device with speakers connected to the mains. At 23.5 cm high, it has a powerful speaker and seven built-in microphones. The speaker offers good bass for optimal sound broadcast 360 °, i.e., throughout the room. Your dog will be overwhelmed by the output and wonders of this device. And that's not all! 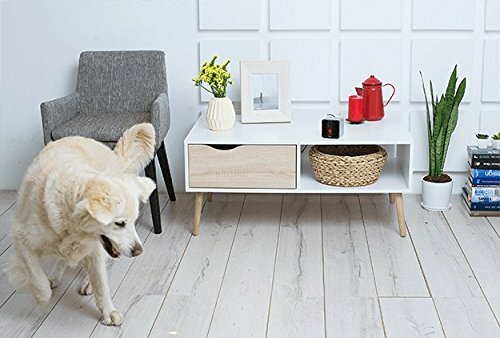 Echo can also remotely control all your other connected objects: turn on or off your television ( for dogs who love watching TV programs ), monitor your automatic dog feeder, handle the heating of your home. It becomes an essential part of your dog's daily life and can quickly become as indispensable as a member of your family and maybe even more useful for your pet. The Echo 2 is the successor of the first echo model. This second iteration has several improvements over the first version. The price is much lower than expected. The design has also been significantly improved, although the Echo 2 retains the cylindrical shape of its predecessor. The dimensions have been reduced. The height is 14.8 centimeters instead of 23.5 centimeters. This new version is now covered with the echo sandstone fabric which is available in several colors. Regarding technical characteristics, there are also some improvements. The second generation Echo embeds a brand new speaker architecture with a dedicated tweeter, a 2.5-inch woofer, and Dolby processing for sharper vocals and dynamic bass. The far-field audio capture technology has also been improved for better speech recognition. More efficient and less expensive, the Echo 2 sure has advantages over the first version. 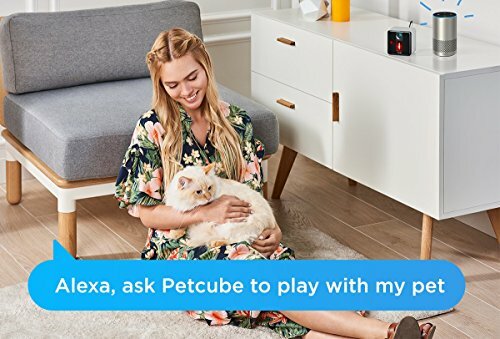 Congratulations, you already have the Echo for your dog! The next step is to get it to work. As a result, below is a guide on how to set it up in a few simple steps. 1. Get the app downloaded on your phone or computer. 2: Get the Echo connected. For this, plug the power adapter into the Echo and fix it to a power outlet. A blue indicator light comes on to indicate that it is properly connected. 3. Connect the Echo to WI-FI through the App. Next, you must connect your Echo to your home's Wi-Fi network. 4. Start Speaking with Alexa. To start, say the default activation word, which is "Alexa." But perhaps you will want to change the activation word for another one, only tell the Echo, "Alexa, change the activation word. 5. Go ahead and use the Echo for your dog. Now, Echo is finally up and ready to be integrated into your dog's everyday life. You can place it in a safe position where it can interact with your dog. You can also connect it to other home devices which are meant to give care to your dog. As Echo always hears everything, it can anticipate your needs and desires as a dog owner. Compatible with different smartphones applications. Good implementation of purchase from dog store providers. Reliable voice recognition even when there are background noises. The device speaks fluently and with a natural tone of voice. The possibility of connection via Bluetooth with speakers. A wide number of cooperation with external dog product suppliers. Reliable data on purchases and products. Multi functional dog care integration for the Smart Home. It has an internet connection. It allows you to control the smart dog devices of your home; e.g., the automatic pet feeder. Its size does not take up much space. You can put it in small places. Easy to use through its touchscreen functionality. Limitations in the implementation of search algorithms: questions about general dog information are not always answered correctly. Limitations in usage as it requires a power source for its operation. 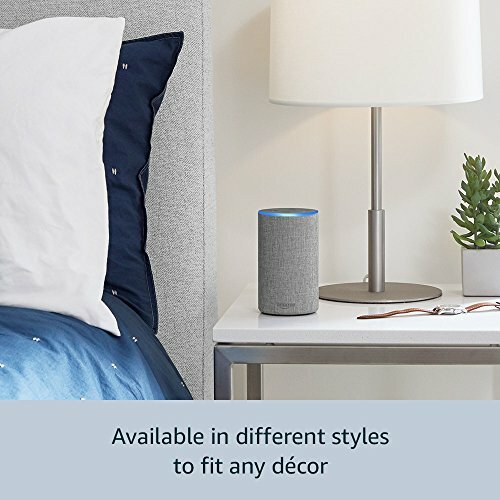 The Echo device, named Alexa, stands out, above all, for its wide range of functions and features. 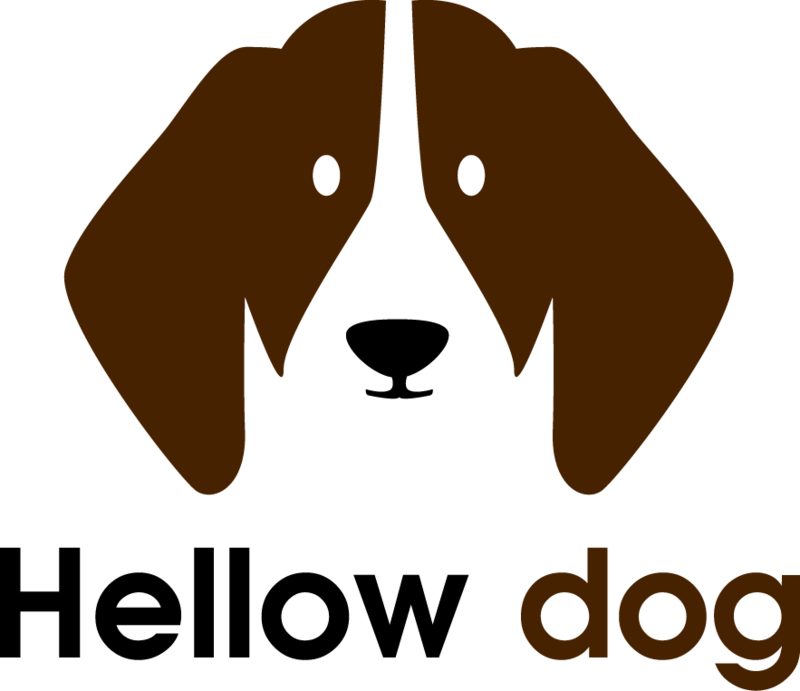 In addition, the connection with other services and their many skills make it very attractive for dog owners, and this assistant is especially useful to obtain information about dog products, amongst others as highlighted above. Furthermore, the Echo 2 comes to reshape the lifestyle of many dog owners today. Obviously, it relieves dog owners of many tasks. For example, why get back home during lunch hours to feed your dog when the Echo can do it for me? Why let your dog go through separation anxiety or boredom when this can be handled on your behalf by this excellent device? In all, this Echo 2 is a personal assistant that seeks to give a break with the small tasks and decompress the routine of dog owners who are overloaded with other schedules aside dog care.